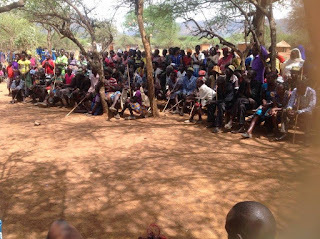 Tiaty Residents flee their homes to IDP camps over KPR torture. - Bana Kenya News, Real African Network Tubanane. Home News Tiaty Residents flee their homes to IDP camps over KPR torture. Tiaty Residents flee their homes to IDP camps over KPR torture. People flee to safe areas after the Kenya Police reservist tortured their houses in Tiaty. The residents claim that the government has a hand in the problems they are facing. According to the Tiaty residents, they claim their MP also contributed to the problems and are telling the IPOA to come out to help them from the hands of the Police officers. The Tiaty Mp Asman Kamama said that the government was not using the KPR because they add violence and hostility than ending it. "Now they thought of using them again and they have made people desperate," Kamama added. People have been moving out of the area to nearest police stations and to the neighbouring counties. The evacuation by people from Tiaty constituency shows that the government should think of negotiations methods than using force. The majority of people flee to safe zones as the Red Cross society assist them in setting Internally displaced people camps in the neighbouring constituency.